The oldest depiction of graphical information was found on a cave wall and is estimated to be 25,000 years old. In the modern day, we call this an infographic. Though it’s obviously not a new concept, infographics have only been used as a marketing tactic for the last few years, but their popularity continues to grow. In CMI’s B2B report, infographics had the greatest year-over-year increase among effective content marketing tactics. So what makes them so special? Infographics marry fascinating data and statistics with eye-pleasing design. It’s easy for readers to quickly digest a message and learn something, and even have fun along the way. Here are a few ways infographics will benefit your content marketing, plus tips on how to create a successful one. As you know, for content marketing to work in a saturated online environment, the content has to be useful and entertaining to the reader. Infographics do both. They’re often used to share messages that break down a complex process or issue, reveal trends, raise awareness, walk readers through step-by-step instructions and more. Successful infographics are organized in a way that smoothly guides readers from start to finish, just like a story. Organization methods include chronological, alphabetical, categorical, hierarchical and geographical. 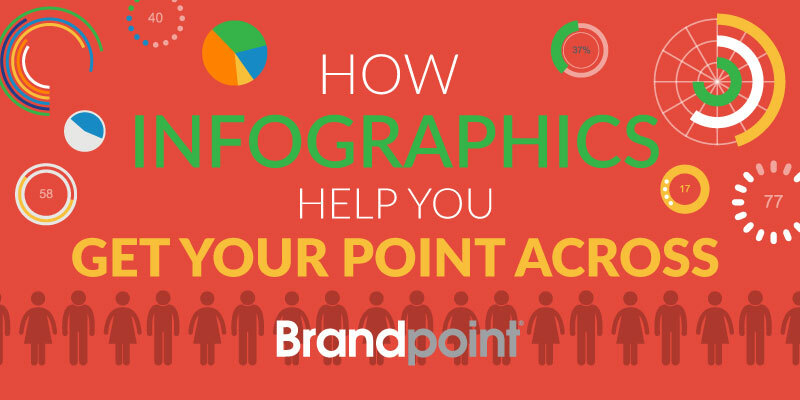 One of the most important success factors for an infographic to succeed is sticking to one single message. Only a limited amount of copy will fit on an infographic, and if you provide too much information, it will be tough to create a design that organizes it. The result will be content that is too overwhelming for readers to consume. What is the key takeaway for readers? 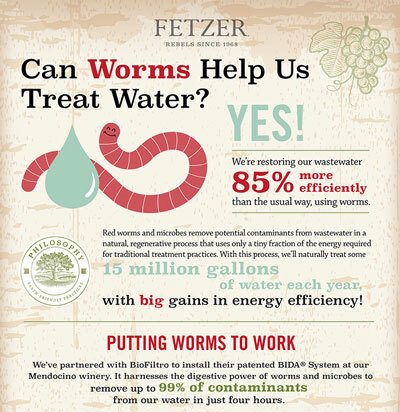 For example, the infographic we worked on with Fetzer Vineyards had the goal to educate and build awareness around the role worms play in treating water. 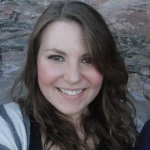 The CTA is to visit the website to learn more about regenerative water initiatives. Because of their visual element, infographics are quicker to consume than a traditional blog post, so readers are more likely to reach the bottom to see your CTA. 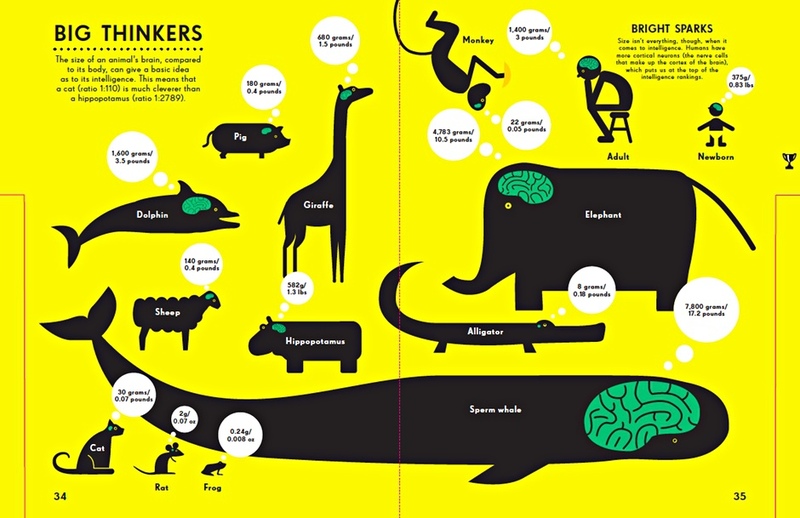 Many infographics contain teasers of what the rest of an eBook or other piece of content contains. Then, the CTA encourages readers to download the rest of the content. Pro tip: Looking to scale your content? If you’ve already done the research for a blog post, eBook or webinar, repurpose it by turning it into an infographic. The brain processes visual information 60,000 times faster than text, and 65 percent of people are visual learners. Incorporating infographics in your content strategy will help you get your message across faster and more effectively. Infographics also break up the continuum of copy, making it easier to keep your readers’ attention. To be effective, your design should be as focused as the copy and all design elements consistent throughout the infographic. Choose one theme that illustrates the entire story from the color scheme and font to graphics and icons. Even maintaining consistent white space provides an easier reading experience and helps you highlight the most important info. This infographic from Justworks focuses on managing a satisfactory experience for new hires. The topic is focused and maintains a consistent color scheme and uniform icons. Along with helpful tips, it outlines interesting data points that support the tips. The design elements of infographics help tell the story, so it’s important to choose a visual organizational method that best presents the data. Choose from a variety of designs including lists, sections, charts, process, anatomical, compare/contrast (like our infographic that shows differences between native and sponsored ads) and more. Though marketers tend to geek out about the latest industry stats and research to better inform their practice, viewing the same list or article outlining the data can be a bit of a snooze. Vidyard turned “2017 Video in Business” benchmarks into this animated infographic. Yes, animated! The infographic asserts their expertise in the video industry and adds an extra engaging element that most infographics don’t contain. It’s also done simply so as not to distract from the key message and data. The top stats are also highlighted in larger font so we know the most important information right away. And at the bottom of the infographic is a CTA button leading to a document with more benchmarks. As I browsed for home insurance information on Pinterest, I found this infographic that demonstrates the basics of home insurance in an engaging and well-designed format that successfully educated me. Pro tip: Do your research. The best infographics share the most recent and accurate data with specific sources cited at the bottom of the infographic. Reference surveys, reports, academic journals, professional news reports, etc., to find legitimate data. There are lots of ways you can organize infographics to best fit the message and design. But you can also use infographics to cover a diverse range of topics from all types of organizations and individuals. A Google image search of “infographics” displays a preview of all the types of topics and creative designs — it’s easy to get lost in learning about the harms of plastic, big animals, beards and so much more. This demonstrates the power of using infographics to display data that can be efficiently consumed. Lincoln’s interest shows us that when infographics and charts are done well, they quickly drive home a key takeaway and may even provoke emotion. As users browse social media feeds while waiting in line or during a work break, you don’t have much time to 1) convince them to click on your link and then 2) convey your message. Infographics solve this problem. They’re shared on social media three times more than any other type of content, making them a great tool for driving more traffic to your website and acquiring new leads. Size restrictions on social platforms make it tricky to share infographics because of their longer layout. If your infographic is hosted on a website (most are hosted in a blog), try taking a snippet of that infographic and share it on social media. Then link back to the full infographic. Because of their shareable nature, infographics are an excellent piece of content to promote through influencer outreach. The Kissmetrics blog post explains how bloggers especially love infographics. Pinterest is a popular platform for infographics, too, and is able to display longer visuals. With relevant content, you can promote to influencers that have niches highly popular on Pinterest like crafters, recipe creators and fashion bloggers. If you have a team of designers, you’ve probably already experimented with infographic creation. But they can be challenging to execute for small content teams, especially if you don’t have a designer. 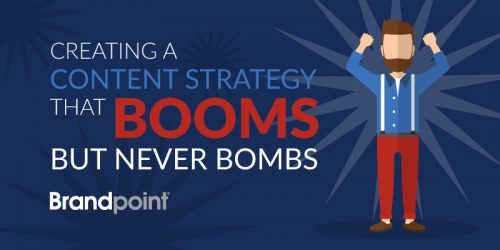 At Brandpoint, we can help add this critical element to your arsenal of content marketing tactics. We work with you to design infographics with your copy, or will create the entire infographic from scratch. We can also distribute infographics to reach new audiences. Contact us to get started.